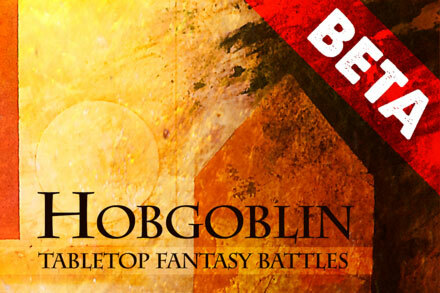 Hobgoblin is a fast and elegant wargame of fantasy mass battles. Hobgoblin allows you to battle with your existing miniatures collections, at satisfyingly large scales in under an hour. The objective of Hobgoblin is to provide interesting tactical and strategic choices throughout the game, alongside more unexpected moments, whilst also ensuring that every model you own is as equally “viable” a choice as any other model, so nothing you choose to paint is wasted. Let us know what you think in our forum, on Facebook, or on Twitter.